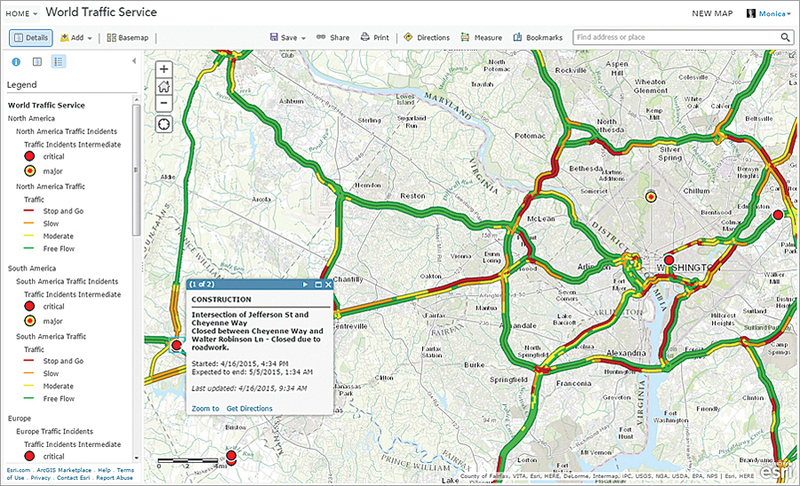 Premium content, such as live traffic feeds, can make local maps more valuable by helping people avoid traffic congestion and construction projects. ArcGIS Online subscribers have access to a number of content layers, such as demographics, imagery, elevation, landscape, and historical maps. In some cases, such as demographics, these map layers consume ArcGIS Online credits and would be considered premium content services. In most cases, however, these layers are available at no additional cost to your ArcGIS subscription. These content layers can be used in the maps and apps accessed by named users in an organization and can also be included in public-facing maps and apps. 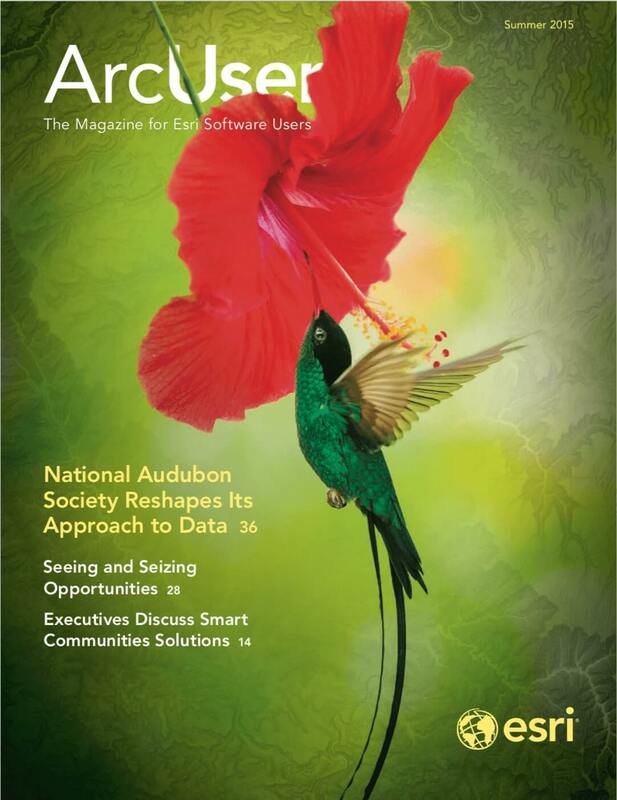 ArcGIS Online subscribers can also use the content layers in maps and apps that they create and share with external users, such as customers, partners, or the public, who access them anonymously. Some premium content, such as demographic layers, do use ArcGIS Online credits but provide additional information. For example, subscribers can take advantage of a dynamic image layer from the National Agriculture Imagery Program (NAIP) or Landsat 8 imagery when working with other agencies or partners that need periodic access to this information but are not ArcGIS users. During a natural disaster, users may want to support response activities by including a reliable and scalable map layer that shows a live feed of the incident alongside other geographic information they are publishing such as open shelters or evacuation routes. There are tools and workflows available through ArcGIS Online for creating maps and apps that use an organization’s accounts to access content layers on behalf of its users. Learn more at goto.arcgisonline.com/premium/share.